Coordinating your cabinets and countertop into a room that you can enjoy requires a little planning. You will spend many hours in your kitchen and you should take the time to make it a room that fits your style and needs. Determine the design and functionality of your kitchen to decide what type of cabinets and countertop you want. Educate yourself about countertop and cabinet companies to be familiar with the products and choose those that fit your budget and style. Shop for your cabinets first since they are usually installed before the countertop. Determine which wood type, color of wood, style of door and cabinets that are appealing to you and also what fits your budget. 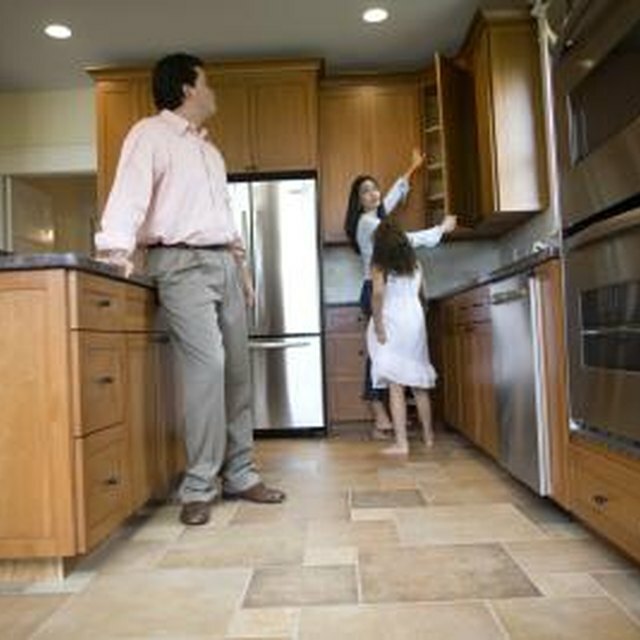 Look for design, functionality and warranty on the cabinets that fit your standards. Visit a cabinet showroom to compare cabinet construction and added features, like glass doors or decorative hardware, and choose what fits your needs. Choose the cabinets that look good with your desired countertop color, if you already have that determined. Choose your countertop material based on strength/durability, stain resistance, burn-proof material, elegance and a price that matches your needs. Consider required maintenance and warranties of various countertop materials. Choose a color based on the desired material. Consider the surrounding areas to match adjacent colors, themes, floors, etc. Consider color contrast like dark cabinets with light countertops. Visit a kitchen showroom for ideas or try an online tool like Merillat Cabinetry’s 3D Kitchen Design Planner which allows you to visualize the color cabinets and countertop you want and even choose floor, wall and appliance colors. Work with a professional kitchen designer for best results and ideas to match the cabinets and countertops, while still using your personal preference for the final decision. Take a square or sample piece of the desired countertop material and color to hold up to the cabinets, floors and other things you wish to match. Most cabinets look good with just about any color of countertop, so don’t be afraid to be bold with color choices of countertops, as long as they aren’t wild or outlandish colors, like pink or purple. You can always tone down the countertop if you don’t like the finished color by painting the walls or making your floors a white or neutral color (if floors aren’t already complete) or adding solid color rugs. Contrasting colors usually look good if using the same warm or cool tones in colors, like dark brown cabinets with earth-tone-colored countertops. The most important thing to remember is to choose colors you like since you are the one to look at it each day. If price is a factor when choosing countertops, you can save a little money if you mix and match by having part of your kitchen, like the main countertops, in less expensive laminate, and an island in the center of the kitchen, made out of granite countertops or a more expensive material. Choose the granite in a neutral stone color or black that coordinates with the laminate color but doesn’t necessarily match exactly. These should match any cabinet style and color well. John Fechik has been writing since 2009. He owns a business in Michigan and is a licensed builder with over 35 years of experience in kitchen/bath design and cabinet making. He also has over 40 years of experience in the music and recording industry and buys and sells items on eBay. He has an Associate of Applied Science degree in orthotic/prosthetic technology from Baker College. What Product Is Best for Polishing Granite Countertops?